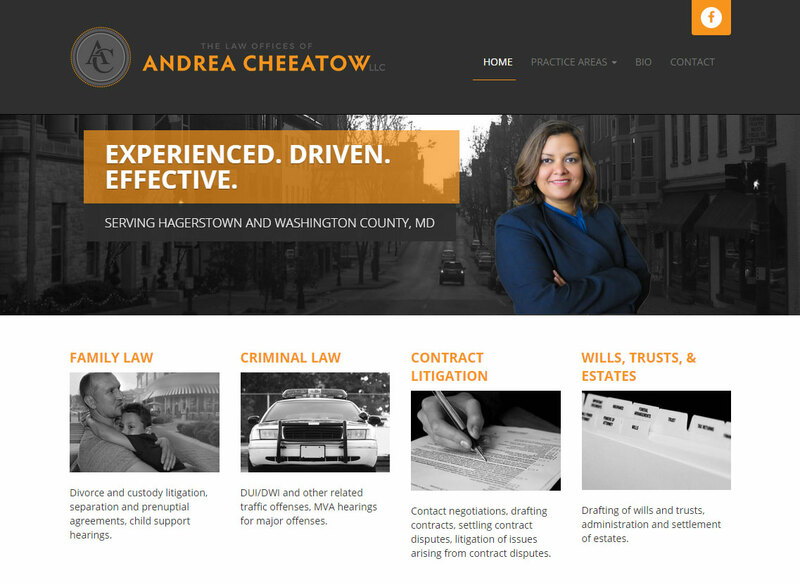 We created a brand identity and web site for Andrea Cheeatow, a Hagerstown, MD lawyer. The site was built with lead generation in mind. It is fully responsive and hosted on Boombox, our cloud-based platform for small business web sites. Sign up for our quarterly newsletter. It offers insight on the latest Internet trends, tips and tricks that will help you become a power user, and useful links.